Hadn't heard this in a long time, and noticed today that it is starting to suffer with the common oxidization issue that plagued some CDs during this era. 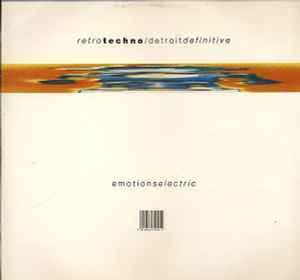 How I love this Album, pure classic Detroit Techno. I've had this piece of vinyl nigh on 22years and never tire of listening to it. Just Another Chance by Reese is pure gold. Highly recomended to anyone who loves this sound.